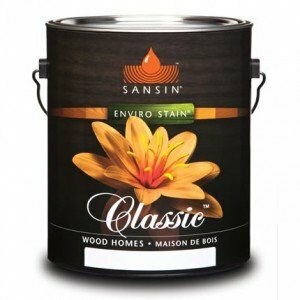 Sansin Classic is a penetrating three-coat finish for log home exteriors, where a low-luster non-film forming finish is desirable. 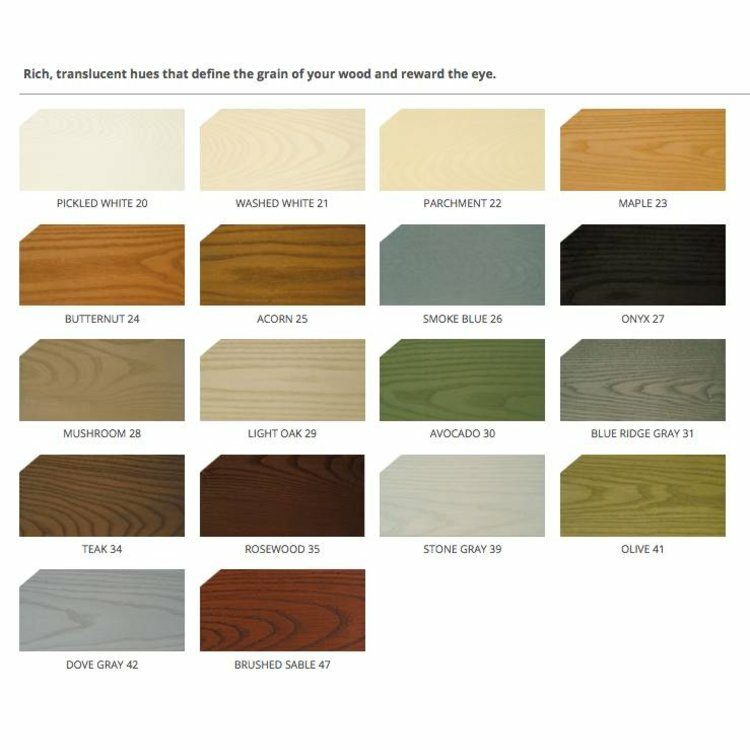 Engineered to penetrate wood of variable moisture content, Classic reduces warping, shrinking and checking, while allowing wood to breathe. Low in VOC’s and environmentally friendly, Classic is UV-resistant and water-repellent, providing effective weather protection. The nano technology utilized in tinting Sansin products ensures that this finish will fade gently over time. Easy to apply and cleans up with soap and water; wood care involves only simple periodic cleaning and maintenance coats. 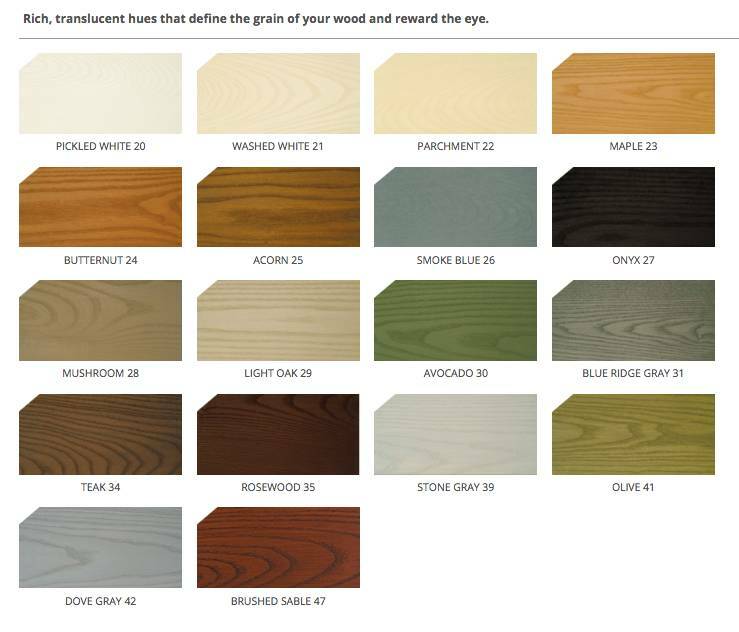 COLOR: The Translucents color group consists of 18 natural wood tones, including the 12 popular colors included here. COVERAGE: Approximately 265 sq ft per gallon in one coat. APPLICATION: Flood coat to the point of refusal, then brush out any drips and runs. Dry to the touch in 6-8 hours, wait 24 hours between coats. A three-coat application consists of three color coats or two color coats and topcoat. Do not apply in direct sunlight or the heat of the day.